Partnering up with fintech start-up Kabbage, the Bank of Nova Scotia is set to offer small business loans to clients in Canada and Mexico, in what has been deemed a particularly effective demonstration of how traditional financial institutions can leverage the particular advantages of fintechs to provide high-quality products online. In Alexandra Posadzki’s report for The Canadian Press, Scotiabank—which has previously invested in the Atlanta-based Kabbage—announced that it will be providing loans of up to $100,000 for up-and-coming businesses who are not currently borrowers starting July (in Canada) and August (in Mexico). Kabbage’s technology platform makes full use of data analytics to compile credit reports within minutes, which would allow borrowers to conduct their transactions without the hassle of paperwork and going to the bank in person. 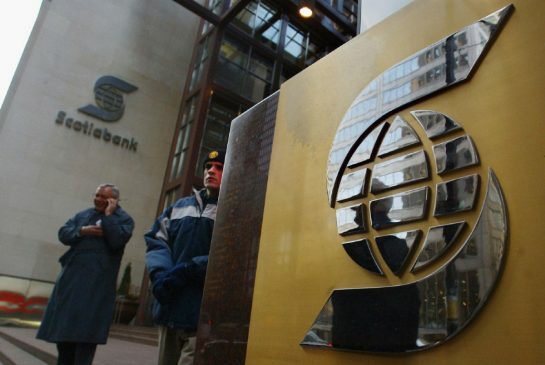 Scotiabank said that it’s aiming to offer the product to Chile, Colombia, and Peru in the near future, and throughout Canada by the first half of 2017. An EY report released earlier this year predicted greater levels of cooperation between Canadian banks and fintechs, rather than the former attempting to create their own systems. Adoption rates of fintech offerings are projected to grow by as much as three times this year, which would further compel banks to adjust their strategies.